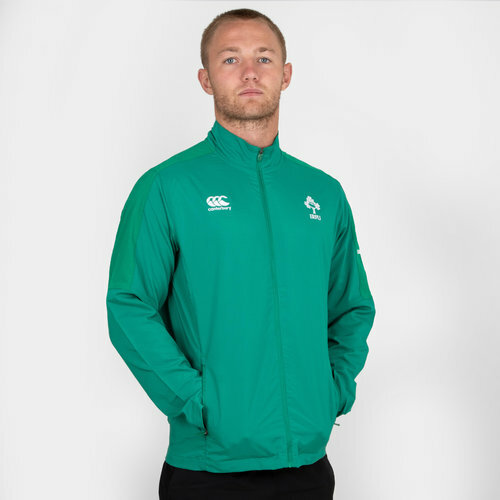 Whether it's out and about, in training or at the Aviva Stadium, make sure you look your best in this Ireland 18/19 Players Presentation Rugby Jacket from Canterbury. This presentation jacket is as worn by the team for their walk on and anthem. It comes with cut and sew panelling designed for optimum range of movement, and a 4 way stretch fabric across shoulder panel for additional freedom of motion. Finished with zipped pockets and embroidered logos. This presentation jack is the green of Ireland. The Ireland Shamrock and CCC logo embroidered onto the left and right, respectively. 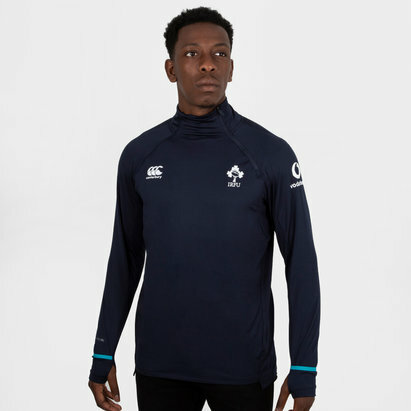 The team's partner, Vodafone - a collaboration since 2016, is embroidered on the left sleeve. 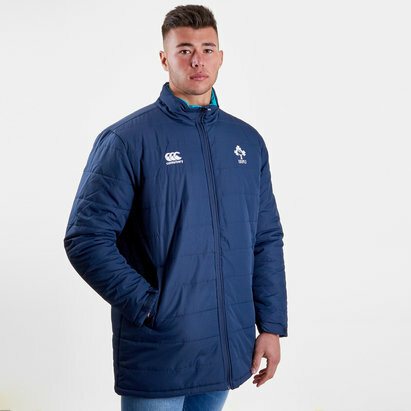 Keep it fresh in this Ireland Players Presentation Rugby Jacket.